VMware Horizon 7 announced today is a real (re)evolution of the product. Just-in-time desktops are in! Feature known as Project Fargo (it’s a very lightweight VM because it shares all memory and disk with the original.) or also called vmFork technology which allows to provision desktop from parent desktop in just few seconds…. So in Horizon View 7 there is no more composer, and no more recomposing operations. Desktop admin folks know what this is about… Also Blast get’s enhanced with Blast Extreme allowing up to 4K resolutions on client’s devices. Identity manager takes over and in this release, where users can authenticate via different credential options and then they just select any windows desktop or application without the need to present AD credentials. Update: Horizon 7 Has been Released !! 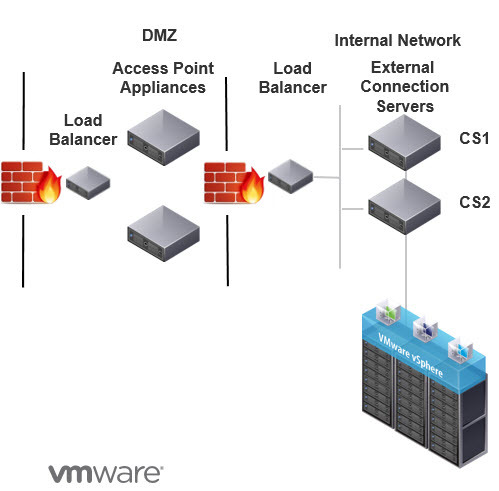 VMware Horizon 7 details – What’s New? Massive scale improvement – Cloud pod architecture can now have up to 10 Horizon PODs across up to 4 sites with a maximum 50 000 destkops. It’s two and a half number increase than in Horizon 6.2.1. More Flexible entitlements – The cloud pod architecture (CPA) allows site assignment for nested AD security groups. Better Failover Support – In case the home site resources are exhausted or not available, the user will be automatically redirected to available desktop at other site. VMware Identity Manager Integration – Identity manager is integrated with CPA, where it will present the destkops or applications available from any CPA Pod. A running, powered on desktop (Parent Virtual Machine) is quiesced and cloned. Instant clones can be persistent or non-persistent. The desktop is destroyed at the time of user logoff. A new, fresh and updated desktop is created and ready for the next user log in. Patching the Operating System is as simple as updating the Parent Virtual Machine. A user automatically gets an updated desktop at next login. No lengthy recompose operation. Desktops are short-lived and always recreated and automatically optimized for best performance. No separate rebalance operation is required. Instant Clones limitations – there are some limitations in the v1.0 release. For example, only floating desktops are supported. No dedicated desktops for now, but v2 shall have it. Also no RDSH or Apps support, only VDI. The scale is up to 2000 desktops with single vCenter, single vLAN only. Smart Policies – customization desktops on location and user’s identity in real time (during the session). The desktop is personalized at boot on, but due to the constant monitoring it’s possible to add/remove function on-the-fly by applying a policy. 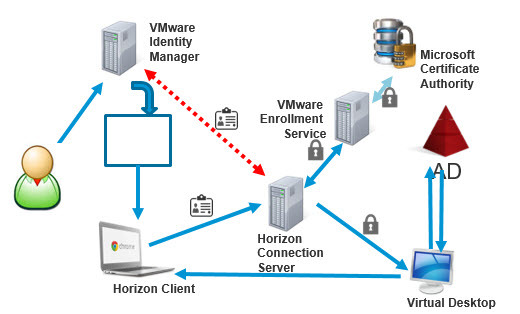 The authentication on Horizon 7 is done through VMware Identity Manager which uses different ways of identifying users. Users can select any Windows desktop or app without to present AD credentials. The True SSO technology uses SAML for connecting Identify provider’s (IdP) authentication with the user’s UPN for access to AD credentials. True SSO generaes unique, short-time certificate to manage the Windows logon process. 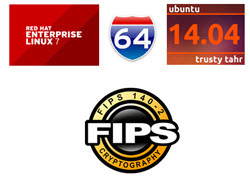 Credentials secured by digital certificate. No paswords. How it works – Identity manager is able to be configured for use with many authentication methods (SecurID, RADIUS, Biometric) and after user’s authentication, the user selects a desktop or application which he wants to start. User is logged onto his/her desktop or to his/her app. Remote session is initiated on the Horizon client. The hardened appliance get stronger, updated. It’s an alternative to security server. Can be configured for RADIUS or RSA SecurID. Support for smart card identification. User gets identified within the DMZ. Supports SAML pass-thru where forward third party authentication to Horizon servers. Environment is more secure as only authenticated traffic flows on the LAN. You can share single GPU with up to 15 users for efficient 3D applications where the native AMD driver is used and which offer 3D and multimedia over vSGA. Intel vDGA Graphics support with Intel Xeon E3 – Support for CPUs with integrated Iris Pro GPU and compatible with Intel Graphics Virtualization Technologies (Intel GVT-d), with support up to 3 monitors per user. This is in tech preview (supports only server-side fetch of the flash content). It allows to redirect flash content from the server to the client in order to get decoded and rendered locally. Local and network printing is up to 4x faster. Scan and serial port redirection supported, where the scanner redirection supports TWAIN and WIA stndards on Windows clients. Serial port redirection allows serial port redirection from the client to the server. 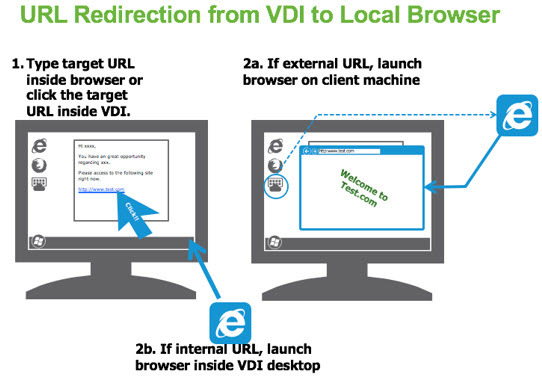 Allows to redirect URL from VDI to the local browser. 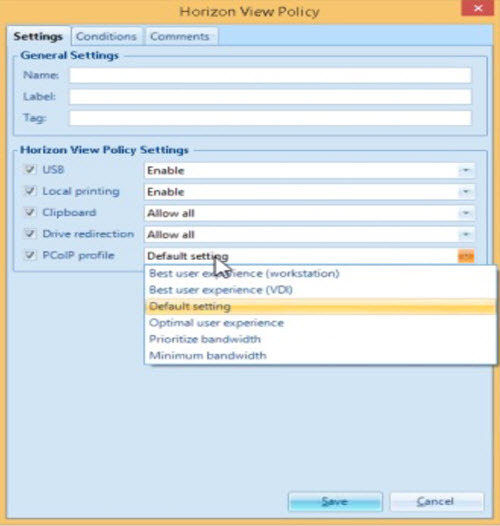 Admin can configure policies to control whether user can access the content with application on the server or the client. Supports HTTP and HTTPs. Can be usefull for customers which needs to separate interrnal browsing from external browsing domains. Allows to secure the environment because content which is potentially dangerous is executed on the client computer instead on the VDI desktop. Admin can configure GPO which does restrict the content that will be opened in a browser inside VDI over Browser on the client’s PC. Optimized for mobile. All existing Horizon View remote features works with Blast extreme and latest horizon 4 clients. (read bellow about new horizon 4 clients). Blast extreme has lower requirements on bandwidth. optimization. Allows up to 4K resolution !!! 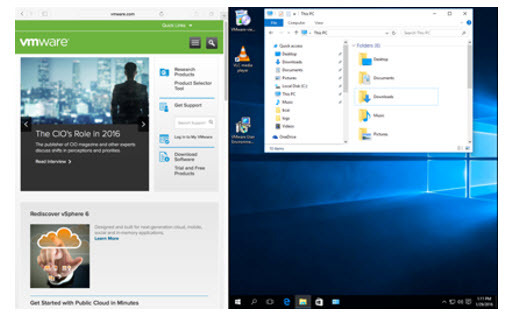 Horizon Client 4.0 Windows – has full support for PCoIP and Blast Extreme. Hardware acceleration. Auto-share USB drivers with Client Drive Redirection. Has been improved, more easier to use, and has better performance using CDR. Up to 50% more performant over WAN, through security server, for Client drive redirection (CDR) and USB. Chrome OS Client 4.0 – support too Blast extreme and PCoIP. Possibility to access Google drive and USB storage in remote apps and desktops with client drive redirection. HTML Access 4.0 – support now Linux desktops, works with mobile Safari on iOS devices. Also F5 APM (Access Policy Manager (APM) ) is supported. Newly supported SLED 11 SP3 has been added. This mode has been announced as a new platform which allows to run the control plane in the cloud. Cloud control plane allows the single-pane management, user profiles, data. Also provides automated service updates for SaaS. While few years back we could assist on really innovative releases of vSphere, since vSphere 5.5 the rhythm of acceleration has lowered a bit. But not everything is working as it should with vSphere web client not satisfying many customers because of it’s slowness, browser integration plugins gotchas and legacy Flash requirements. Any improvements or changes to the View admin console, integration with Airwatch etc? Since there is no GA build yet available to download is there beta software available to ordinary people ? We are small customer with View 5.3 deployed and this one looks really exciting and worth upgrading. Also regarding blast protocol is this new that it uses h.264 as video codec ? What kind of codec was used in previous version of blast for image ? VMware sometimes lets it’s customers run beta bits. Contact your VMware Sales executive or Engineer as they may be able to hook you up with an early release of the product. 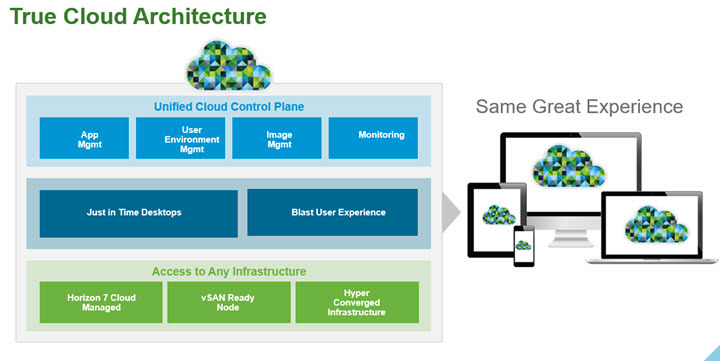 Hypervisor can virtualize CPU & Network in a machine, why can’t that be done for Video? why are hypervisor vender trying to follow NVidia? Yes, Grid is a great technology, but it does not scale. Why can they do for video, what they did for CPU? Microsoft is trying to do the real deal, but they using CPU & software to do it (RemoteFX in Windows 2016). If every basic server video card can do Hardware Accelerated openGL 4.4/ openCL/ H.265/ H.264/ DX9-12/etc…, then why can’t the hypervisor software use this as a key to do video-virtualization? 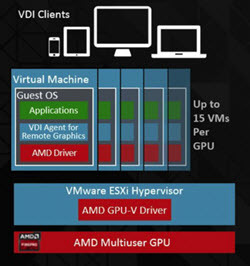 Is the video card in xen/hyper-v/kvm/esxi/etc.. server use for anything other than to display stuff for the physical machine? Is any part of it use for the Vms running in on that server? 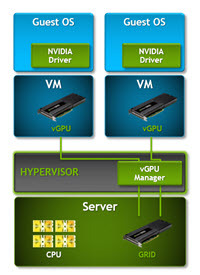 All hypervisor vSVGA should use on-board video to offload GPU, this is the right-path to real-grid-gpu. 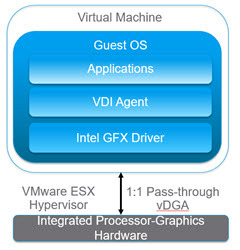 or even better if they can create a open standard for CPU virtualization, Network virtualization, Video virtualization. Memory & Storage can’t seem to be able to virtualize, mainly because we can only use one bit at any given time, while CPU can use one cycle many different time at any given time. This inline-dedup, does it also have auto-defrag? Any increase on the 4 monitors limit with VMware View and PCoIP? Is there any official reference link for the information above – or where did it come from (especially those screenshots)? Just gone to the download pages, and Composer is the first component listed . . . but above suggests that Composer is not now required? Optional Extra for something, or? Perhaps I need to read the documentation! I came across similar situation. You need to allow port 443 for both tcp and udp and also tcp8443. Then at security server, make sure your Blast External URL matches your external FQDN/IP address and change the port 8443 to custom port if port forwarding is configured at firewall.